to lift, tone, and tighten loose skin. The Ulthera device uses ultrasound to stimulate the deep structural support layers of the skin, including those typically addressed in a surgical facelift, without disturbing the surface of the skin. Ultherapy treatment also stimulates the creation of new collagen, which further helps the skin maintain its youthfulness. The beauty of Ultherapy is that it is a 30 to 60 minute procedure that uses the body’s own subtle healing response to gently, gradually restore memory to the skin and its underlying tissue. Ultherapy requires no special recuperation or preparation and typically only takes one treatment to get a meaningful response. Patients enjoy some initial effect immediately following the procedure, but the ultimate lifting will take place over 2-3 months, as tired collagen is rejuvenated and supplemented with new, stronger collagen. While ultrasound does not duplicate the results of surgery, Ultherapy has proven to be an inviting alternative for those who are not yet ready for surgery. Ultherapy offers a ‘no downtime’ approach to improving lax skin in a meaningful way. A good candidate for Ultherapy procedure is someone with skin that has “relaxed” to the point of looking, and often feeling, less firm. A lowered eyebrow line or sagging skin on the eyelids, for instance, is often the first sign of “maturing” skin. Typically, those in their thirties and older who have mild to moderate skin laxity are candidates. While Ultherapy is not a replacement for a surgical face lift, there are many people who want some lifting but are not ready for surgery, either mentally, financially or logistically. There are also younger people who want to “stay ahead of the game” as well as those looking to prolong the effects of cosmetic surgery. These photos have been supplied from Ulthera. All photographs represent one person’s experience and this may vary for each patient. Patients commonly choose to have the cheeks and lower face treated in order to obtain lifting of the whole area. The neck and the forehead can also be treated. 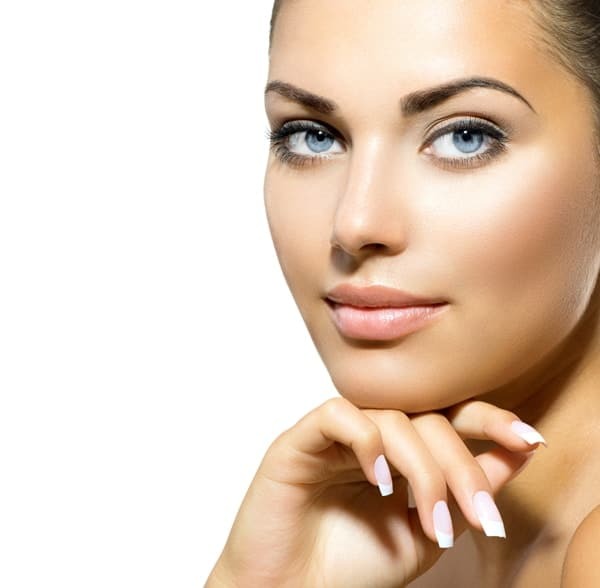 Ultherapy can be combined with many other procedures such as fillers and muscle relaxants. Dr Lanzer recommends Ultherapy after a face skin suture lift to enhance results and longevity. Ultherapy should not be used over a filler and therefore it is important that there is good timing with other treatments. There may be some pain and tenderness during treatment. The Ultherapy should also not be used over any facial implants. As the treatment is non-surgical no promises can be made as to the extent of lift or final result. This is because all patients react differently to such therapies. Burning or scarring has not been seen however some patients do find the treatment tender and even painful. An increasingly large amount of patients now opt for Ultherapy procedures. Ultherapy jump starts a repair process that produces fresh, new collagen. If you’re looking to remove fat from the face, get a free consultation at Melbourne Ultherapy clinic with Dr Lanzer. • No. Unlike a face lift, Ultherapy is a non-invasive procedure that addresses the skin and support layers below it, but doesn’t entail cutting or disrupting the surface of the skin. The procedure has been demonstrated safety in clinical studies, and tens of thousands of treatments have been performed safely worldwide. In addition, ultrasound energy has a proven track record, with use in the field of medicine for more than 50 years. The majority of patients only need one treatment; however, some may benefit from more than one treatment (depending on how much laxity they have and their body’s own biological response to the ultrasound and collagen-building process). Some before and after photos shown are not exact, in that they vary in light, contrast, clothing, background, and distance from camera, hairstyle and make-up. Not everyone is familiar with ultherapy, especially considering that this type of treatment has only become available recently. However, ultherapy can be a viable treatment option for numerous patients, so doing some research into this type of treatment could help patients decide if the treatment is right for them. Prospective patients can find more information about this therapy on this page, but other information pages on facelift procedures are available on the Dr Lanzer website too. Additionally, patients can also request more information about this treatment directly via telephone, email, website form or chat message. Even though results can be obtained from this treatment with only one session, there are certain patients that could benefit from multiple sessions. To determine the amount of treatments for a patient, or to determine if ultherapy is right for you, it is best to see a licensed dermatologist or cosmetic surgeon before choosing the treatment. At the Dr Lanzer Clinic, you could make an appointment with Dr Lanzer, who is a licensed dermatologist as well as experienced cosmetic surgeon. Based on his findings during a consultation, Dr Lanzer can propose a treatment plan that is best suited for your individual needs.